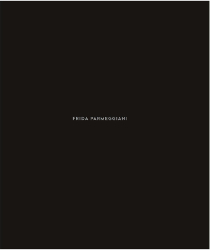 In the three decades from 1978 to 2008, Frida Parmeggiani was Europe’s most sought-after costume designer. She has worked for and with Hans Hollmann, Götz Friedrich, Rainer Werner Fassbinder, Samuel Beckett, and Robert Wilson, among many others. On the occasion of her 70th birthday in the summer of 2016, the Mozarteum University of Salzburg in cooperation with Merano Arte presents an exhibition that is dedicated entirely to new designs. In conjunction, Schlebruegge.Editor publishes first comprehensive book about the Meran-born artist’s work. Frida Parmeggiani. Textile Artefacts shows a series of multipart costume abstractions which explore the complex relationship between nature, space, volume and textiles. For the first time in her career, Parmeggiani is working without storyline or actors and is thus able to use her minimalistic forms in a static, sculptural way. Fine fabrics in combination with metal elements or objects culled from nature produce stylistically rigorous, aesthetic costume installations. In this volume, Silke Geppert explores Parmeggiani’s current works from a textile history standpoint; her longtime work partner Robert Wilson outlines the special aspect of their symbiotic collaboration; Bernd Sucher provides a recent journalistic portrait, and Elfriede Jelinek publishes a prose piece, written specifically for this book, about their mutual devotion to textile material. Frida Parmiggiani built her reputation from 1976 on, with her successful work on plays by Samuel Beckett, Rainer Werner Fassbinder, and Wilfried Minks, and designed the costumes for Wagner’s Lohengrin as early as 1979 and the entire four-part Ring Cycle at the Bayreuth Festival in 1987. Collaborations with David Byrne, Lou Reed, Tom Waits, and William S. Burroughs ensued. She created highly stylized and fantastical costumes for Expectation, Bluebeard’s Castle, Mitridate, and Danton’s Death. From 1987 on, Parmeggiani has worked almost exclusively for Robert Wilson. Today, Frida Parmeggiani has largely withdrawn from public life and lives in Merano.